Style in the field is essential. You might have picked up some dashing tweed from Holland and Holland but it means nothing without the right footwear, you will only show yourself up as an absolute amateur of country style, think Black Tie event and clip on bow tie. Your countryside attire must not only look fantastic but it is essential that it is fit for purpose. Le Chameau have been producing tiptop quality natural rubber boots for over eighty years and what a handsome set of boots they make. Like your finest pair of tweed breeks, master craftsmen use the best available materials to produce a product that is unmatched. 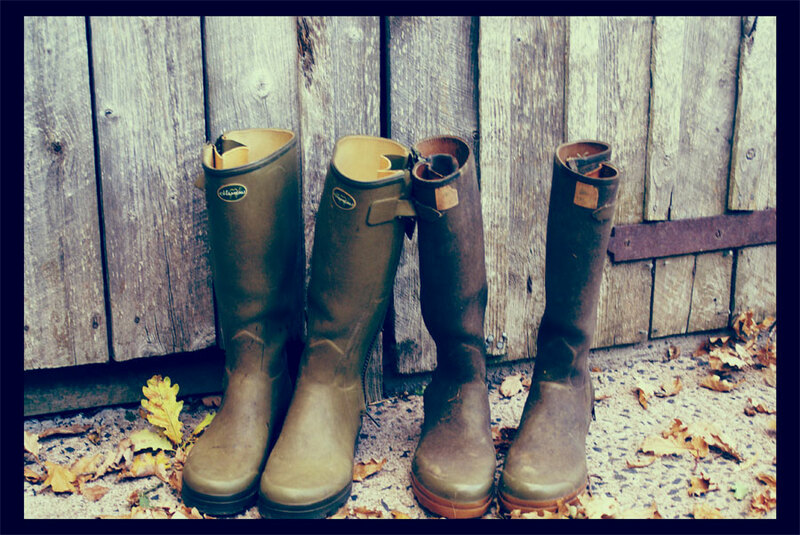 Based in Pont-d’Ouilly in Normandy, Le Chameau use a 12 stage process using natural rubber to produce their wellingtons. You can choose from either neoprene or leather lined, a snap top buckle or a fully-zipped leg and all of these options in a variety of shoe and calf sizes. My two pairs of Le Chameau boots 30 years apart and still in use! My first pair were given to me by a family friend, they are now over thirty years old and only leak on one calf. I also have the Vierzonord (neoprene lined snap top buckle) and for the smartest of country occasions I take my Chasseur boots (Leather lined fully-zipped leg). Whether enjoying field sports in the Scottish Highlands, boot hopping at the point to point or just a rainy day in Central London, Le Chameau will make the correct impression and are worth every penny.